What is the best property management software for small businesses? The best property management software for small businesses is FantasticStay. Offering a user-friendly interface and powerful set of tools, this platform can tackle everything from listing management to rental management. What’s more, it gives you reporting tools that will help you get a better understanding of your financials and KPIs. Property managers are expected to know the ins and outs of everything related to the real estate they’re putting on the market. But, as we all know, expectation is the mother of all frustrations and, in the case of property management, the frustration falls on your shoulders if you are ill-equipped to meet the demands of your tenants. This is why investing in property management software might come in handy, especially if you own a small business. With these tools, you can effortlessly tackle everything from listing management and tenant screening to maintenance management and online payment processing. However, while there is no doubt that these platforms are helpful in optimizing your operations, you might be wondering which one is the best for your business. To help you pinpoint what is the best property management software for your business, we have culled some of the leading solutions on the market, carefully pointing out each product’s key functionalities and value proposition. This way, it is easier for you to narrow down your options. Good property management goes a long way. In fact, in Buildium’s 2018 State of the Property Management Industry Report, 88% of tenants say that the quality of property management strongly impacts their decision to renew their lease. 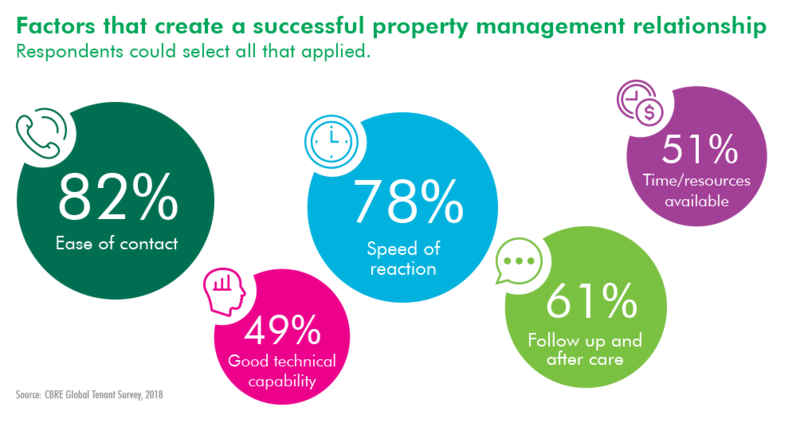 This was echoed by the 2018 CBRE Global Tenant Survey and to add to this finding, they managed to pinpoint some of the most important factors in building a successful property management relationship. According to their research, the priorities of tenants are heavily anchored on ease of contact (82%), speed of reaction (78%), follow-up and after-care (61%), resources available (51%), and good technical capability (49%)—tasks that are highly manageable if you put a little time and effort into it. Moreover, plenty of property management software solutions are now built to help you meet these customer demands. For starters, you can find numerous products that offer customer portals and built-in communication tools to help bridge the gap between tenants and their landlords. These will help customers get visibility into their information as well as effortlessly get in touch with property managers if they have questions about their tenancy. Some can even process rental payments online to make transactions more convenient. In some cases, property management tools are equipped with maintenance management functionalities that will help you proactively take care of your properties and keep them in top shape for your tenants. Lastly, there are software solutions that give you the option to roll out resident retention programs like scheduled community events, parking perks, discount privileges from local stores, and the like. As you invest in property management technology, we hope that you keep these factors in mind. 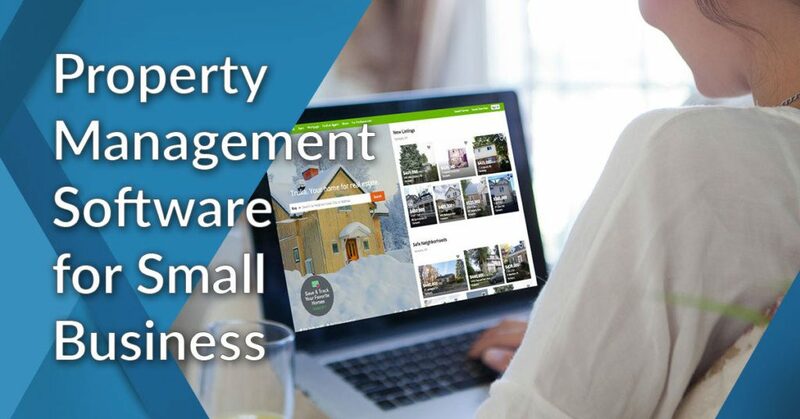 But, of course, the features we mentioned are not the only ones you should pay attention to as you assess our list of top 12 property management software for small businesses. Be sure to also check out our guide to property management system features. This should help you get a better idea of essential functionalities that will help you perform all your property management processes. FantasticStay is a cloud-based property management software that equips property rental businesses and vacation rental managers with a unified platform for managing their listings, reservations, customers, client communications, and payment processes. Whether you’re looking to stay on top of your property listings across multiple property and accommodation services such as Airbnb and Agoda, or engage with customers under a unified inbox, FantasticStay lets you get the job done with ease. FantasticStay offers a number of automation functionalities that can help property managers unshackle themselves and their staff from mundane chores. Simple greetings, reservation confirmations, and reminders can all be automated, thus helping you deliver personalized messages to your tenants. Reservations, email grabbing, list synching, and other responsibilities can also be automated, allowing you to dedicate your time and efforts to improve your business and reach new heights. With FantasticStay, you can give your guests a smooth experience from booking to checkout. Prospects and customers are given accurate listings and reservation availability schedules, clear round-the-clock communications regarding booking reservations from the professionals at FantasticStay, and fast and secure payment transactions, among others. If you would like to learn more about what this platform has to offer, you can easily sign up for a FantasticStayfree demo here. It serves as an all-in-one property management hub as it provides you with all the tools you need from reservation management to payment processing. It has a unified inbox and 24/7 guest communication module that will allow you and your staff to accommodate customers at all times. It is equipped with a smart reporting feature that lets you analyze your finances and KPIs. It has open API capabilities, allowing you to combine it with any software ecosystem. It has a built-in website builder tool so it is easier for you to create and strengthen your online presence. Condo Control Central is a unified property management software for condominiums. It comes with a comprehensive set of features that go beyond screening applicants, preparing their leasing agreements, and processing their rent payments. The platform also comes with a task calendar that helps managers get a better view of their day-to-day responsibilities as well as a file library that makes it easier to store important leasing documents. Moreover, it facilitates interaction among the management, tenants, and other stakeholders through its built-in communication tools. In fact, it comes with proxy voting tools that let you achieve a quorum at important meetings such as passing a new bylaw and amending declarations. Condo Control Central also has quite a few auxiliary functionalities that make it easy to aggregate all the possible situations you might encounter in handling a condominium. These tools include package tracking, amenity reservations, event management, and security checkpoint management. Lastly, in case you still feel that this platform has limited features, Condo Control Central is built to integrate with various third-party payment gateways, accounting systems, security systems, and other software. Should you be interested in further understanding the capabilities of this software, be sure to sign up for a Condo Control Central free demo here. It is designed to help you fully digitize your property management processes for condominiums. It supports multiple types of online payment methods which makes transactions more convenient. It is equipped with strong security features and consolidates your security logs, key records, parking permits, entry requests, and the like. It has a dedicated online portal where managers can communicate with tenants and other stakeholders. It comes with automated package processing for recipients residing in your condominium. Building Engines is an easy-to-use and easy-to-deploy property management platform designed for commercial offices, residential real estate, and industrial facilities. It allows users to streamline all their property management tasks through its core modules that include tenant management, building maintenance, security enforcement, and customer engagement. Moreover, it comes with open API functionalities that make it easier to integrate with other business software. With this, you can further consolidate your tasks and manage them from one convenient hub. Another reason why Building Engines made it on our list is because it has a customizable dashboard that lets you get a 360-degree view of your entire operations. With this feature, you can see tenant satisfaction ratings, financial reports, listing performance, and other statistics at a glance. What’s more is that it comes with automated alerts that will keep you up-to-date on work requests, overdue payments, and tenant applications. It has a modular architecture that allows you to extend its capabilities depending on the needs of your business. It serves as a unified platform that aggregates all your property maintenance, tenant management, and security efforts. It comes with a mobile application called BE-Mobile that lets users access and manage critical building information. It is equipped with analytics features that give you intelligent insights on your operations in real-time. BuildingLink.com is a property management tool trusted by thousands of businesses worldwide. It offers a plethora of functionalities ranging from basic resident engagement and property maintenance to advanced key tracking and management analytics. What’s more is that it allows you to secure your properties through visitor permission features. With this at your disposal, you can make administrative processes more efficient. Like most of the other platforms on this list, BuildingLink.com also helps users with customer retention by using intuitive web portals where residents can view their leasing information. What makes this software unique, however, is that it has a Community Bulletin Board function that will allow your tenants to interact with each other. They can use this to sell, borrow, or buy items from their neighbors, schedule events, or even post announcements for your other customers. This way, you are not only improving landlord-tenant communication but also building a healthy living environment for your residents. It allows you to set up digital community bulletin boards where residents can interact with each other. It can support multi-building portfolios so you can consolidate data on different properties. It has an internal messaging module that lets you streamline communication between departments. It comes with a promotion management tool that lets property owners partner with local businesses so that residents can get discounts. It offers an intuitive web portal and mobile applications to help residents access property information, reservation data, and other important details. Yardi Voyager is an end-to-end property management platform for various residential and commercial real estate. Completely cloud-based and mobile-ready, this platform serves as a unified hub where you can automate your property management and accounting processes. From overseeing property maintenance and organizing tenant information to processing payments and tracking insurance policies, this platform can do it all. What’s more is that it can support custom workflows and dashboards for specific roles within your company, making it easier to set access permissions for different employees. If you still feel like the features we’ve mentioned are too basic for your needs, Yardi Voyager also supports a number of modules to reinforce your processes. Among the many systems you can integrate with this system are CRM and marketing, energy management, facility management, procurement processing, business intelligence. It automates everything from lease administration to move-in/move-out processing. It comes with tools that let you keep track of industry regulations for better compliance management. It supports market-specific property management tools that cover commercial, multi-family, senior, and military housing. It has strong integration capabilities that allow it to play well with tools for marketing, facilities management, payment processing, and more. Created for multi-family unit managers, condo owners, and HOAs, MRI Residential Management is a software that focuses on retaining residents and tackling the global residential market. It is a well-connected ecosystem that comes with best-of-breed tools for property management, portfolio monitoring, accounting, as well as service request management. The platform is also cloud-based and comes with native mobile applications so that you can log on to the system using your iPhone, iPad, or Android devices. MRI Residential Management also provides users with a set of robust reporting and analytics tools. This is great for companies who want to get insights on their performance data, resident lifecycles, as well as financial status. With this, you will be able to effortlessly manage building operations and improve your overall service in line with your KPIs. It has specialized tools for residential and commercial property management. It provides users with housing compliance management options. It comes with a robust accounting functionality that helps you get a real-time view of your portfolio performance in line with your financial projections. It has an online leasing suite that lets prospects check out your unoccupied units or amenities. This feature even supports resident applications and processes initial deposits. It is equipped with a resident portal that can process online payments and automate contract renewals. Propertyware is a real estate management system designed for single-family units. Great for vacation rentals and residential rentals, this platform comes equipped with modules for marketing, accounting, payment processing, and maintenance management to streamline all your property management processes. It also has easily accessible portals where residents can review their leasing information, submit service requests, and make rent payments. This way, they no longer have to go out of their way to contact you for the details of their tenancy. Aside from the abovementioned functionalities, Propertyware also has a resident screening module that can help you find the right tenants for your properties. This feature’s settings can be customized according to different criteria like credit thresholds and criminal convictions. Lastly, for your convenience, the vendor also provides asset protection programs. However, this is only available as a paid add-on to their subscription plans. It is fully integrated, allowing it to consolidate all your property management tasks in one interface. It comes with a full-fledged marketing system that will help you showcase your properties, manage listings, as well as track the impact of your marketing strategies. It has a secure payment processing module that doesn’t rely on third-party service providers. It provides managers with a tenant screening tool that uses intelligent scoring algorithms. It is SAS70 II compliant to help you keep your customer information secure. AppFolio is a completely web-based application that aims to centralize all property management tasks in one convenient platform. Designed to handle different types of properties, users can take advantage of this software for residential real estate, commercial buildings, student housing, and HOA. It provides users with tools for listing management, tenant screening, as well as maintenance request processing. In addition to that, Appfolio is also known for its comprehensive accounting system that lets you monitor rent payments, perform tenant charges, and schedule rent increases. Appfolio is also a great option for property managers who are looking to enhance resident retention as it comes with an online renter portal. With this feature, you can provide each customer with all the information they will need regarding their tenancy—be it their lease agreement, upcoming rent payments, outstanding fees, as well as service requests. It even serves as a platform for you and your residents to get in touch with each other. It has a fully featured accounting system. It has a rent comparison tool to help you keep your rates as competitive as ever. It comes with a marketing system that will help you manage your listings, post vacancies, and communicate with potential tenants. It has a rent payment feature that residents can access online for faster transactions. This feature can also accept customer requests for maintenance or repairs. It has mobile-ready owner portals and renter portals that make it easy for both managers and tenants to communicate and check on property information. Rent Manager is a fully integrated and scalable property management software for businesses of all sizes. It provides users with real-time vacancy statistics, customer portfolio management options, as well as inspection scheduling tools to streamline all aspects of managing rental real estate. The platform also provides users with a document management system that makes it easier to organize lease agreements, service request histories, as well as financial reports. In addition, it comes with modules for enterprise accounting, electronic payment processing, as well as VoIP phone integration. To top it all off, Rent Manager has open API tools that will allow it to support a wide variety of third-party business systems. This way, you can easily retain your existing software ecosystem or simply extend the functionalities of this property management platform according to your needs.  It has a versatile feature set and provides users with open API. Primarily a community association management software, TOPS Professional snagged a spot on our list for its powerful property management suite. It combines the power of accounting and property management in one interface to help HOAs and condo-managers to organize their real estate portfolios, perform basic financial management, as well as generate reports on KPIs. Moreover, it comes with automated bank reconciliation options to make transactions with tenants faster and more convenient. Great for self-managed communities and property management companies, this platform also uses powerful automation engines to streamline your workflows. It even comes with deed enforcement options as well as service request management to increase resident retention. Lastly, as TOPS Professional is an online property management software, users can easily access it on any internet-enabled device—be it your desktop, laptop, or mobile device. It has a management suite that is user-friendly and mobile-ready. It has a powerful automation engine with highly configurable workflows. It is equipped with a robust accounting module that can generate invoices, manage receivables, and automate other accounting procedures. It comes with a service management feature that records and processes repair requests, routine maintenance tasks, as well as inspections. It provides users with deed enforcement tools. TenantCloud is a free property management software purpose-built for small and medium-sized businesses. Offering end-to-end solutions, this platform allows landlords to perform everything from listing management and tenant matching to property maintenance and rent payment processing. It even comes with its own e-site editor that will allow you to create beautiful pages where you can showcase your properties. The platform is also equipped with a virtual assistant which will help you optimize your booking schedule as well as organize maintenance requests from tenants. In case you are looking for a platform that will also help you in understanding your business’ performance, TenantCloud also comes with a robust reporting tool. With this, you can generate various financial and rental reports according to your unique priorities and get a clearer view of your operations. It has a tenant matching system and applicant screening tool that will help you manage your prospective residents. It provides users with a financial management module that includes basic accounting, invoicing, and payment processing. It comes with SSL encryption and daily backups to keep your data secure at all times. It has a customer review feature that helps managers collect feedback from their residents. It is equipped with ILS syndication. TrueRent is ideal for property managers and landlords that wish to oversee and manage their rental properties on a single platform. This economical yet feature-packed property management software simplifies the way you screen tenants, maintain your properties, and collect payments. The software also supports several account types to equip users with the right set of tools for managing their business. For making sound decisions in accepting tenants, TrueRent integrates with Experian Tenant Screening to give you useful insights on their score, eviction records, and criminal information. This way, you can avoid any unforeseen problems with your tenants. With regards to payment collection, TrueRent ensures that you are on top of all tenant transactions for the current pay period. The software informs users which payment has not yet paid their rent, and how much they are owed. Meanwhile, tenants can easily check their transaction histories and pay rent online their transactions through a self-service portal. It features multiple account types to better suit your needs. Its work order management capability keeps all parties up to date regarding the progress of each maintenance or repair. TrueRent features a tenant portal where tenants can easily make their payments. It lets you easily keep track of all payments. It allows you to thoroughly screen each tenant. There you have it, our list of the best 12 property management software for small businesses. While the products we’ve featured share many functionalities and have more or less the same easy-to-use interface, do note that they also have specialized features that may make a huge difference for your unique property management processes. In case you are still having a hard time choosing, we highly recommend that you opt for FantasticStay. This platform serves as an all-in-one hub where you can perform all sorts of property management processes ranging from listing creation to resident retention. In addition, this platform also gives you the ability to create your own online portfolio, as well as get insights into your properties’ performance and ROI. Should you be interested in learning more about this software, you can sign up for a FantasticStay free demo here.